Name *Required The name of the company. Accounting Software The name of the accounting software the company uses. Choose from the dropdown menu (this list is created in Set Up). Account Number The account number your firm has assigned to that company. Phone The main phone number for the company. This does not have to be the same number as the primary contact. Fax The main fax number for the company. Default Invoice Aero Type If you plan to use the Progress Invoicing feature with this company, you can select a default Aero Type for the invoices here. Hourly Billable Rate The billing rate for this client. If you choose Customer as your Billing Rate option under Setup > My Company, all hourly billed services you provide for this customer will be billed at this rate. Monthly Fixed Fee If you charge this client on a fixed fee basis, you can enter the monthly fee here. The number is used in Aero Reports. It does not sync to QBO and is not used for invoicing. Type The type of company (Customer, Vendor, Lead, Employee, Owner, Other). If you are syncing to QBO, any company created as a Customer will automatically be added to your QBO file. If you are linked to QBO, once you create a company that is a Customer, you cannot change the Type. Website The company’s website URL. Address The company’s full mailing address. On Hold Whether or not Aeros and other activities for the company are on hold. Notes You can enter notes about the company here. These notes will appear in the Company Info tab in the Do Task screen. The Actions tab on the Edit company screen gives you multiple options for creating Aeros for your clients. From here you can start or add an Aero, create a Master Aero, use an Aero template to start or add an Aero, use an Aero Template to Add a Master Aero, start or add an Aero using a Library template*, or create a Master Aero using a Library Template*. *Depending on the status of your subscription, you may only have access to some Library Templates or may not have access to any Library Templates at all. Vault The Vault is where you can securely store client logins and passwords, credit card and bank information, tax id numbers, even a link to a folder on a document management site. Click the Add a new record button to add a new vault entry and click the Save changes button to save it.You can use the sort and filter features of the grid to find a particular Vault entry. Aeros Click the blue Aeros link at the bottom of the screen to see a grid with all past Aeros and all future scheduled Aeros. You can use the sort and filter features of the grid to find a particular Aero. 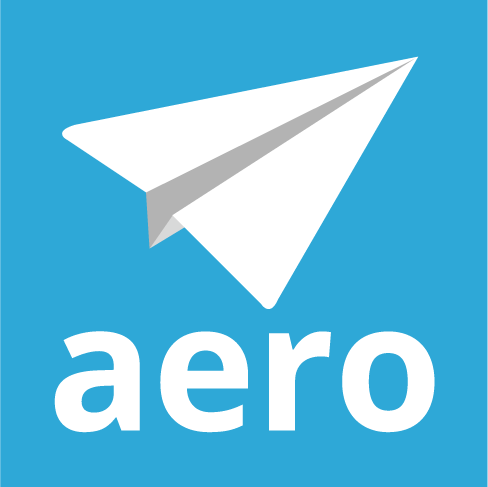 Master Aeros Click the blue Master Aeros link to see a list of all Master (recurring) Aeros that are assigned to the company. Projects Click the blue Projects link to see a list of all projects associated with the Company. When you are done editing the company, click the blue Save and Close button and you will be returned to the Manage Companies screen. You can click the Close button to close the edit screen without saving.